A distilling dynasty from the Lowlands of Scotland, whose early work in the use of continuous stills helped develop the Scottish grain whisky industry. John Haig & Co. was a legendary distilling company that embraced the continuous still soon after its inception, and became a major producer of grain whisky, based in Cameron Bridge in Fife. The company was also one of the original group of distillers that set up the Distillers Company Ltd. (DCL) in 1877. More recently, its heritage formed the inspiration for the launch of Haig Club single grain whisky in 2014. The Haig family could lay claim to being the oldest distilling family in Scotland. There are records of Haigs living in the Borders in the 13th century, but it wasn’t until 1655, when Robert Haig was hurled before the church elders for daring to distil on the Sabbath, that the first record of whisky distilling in the family occurred. 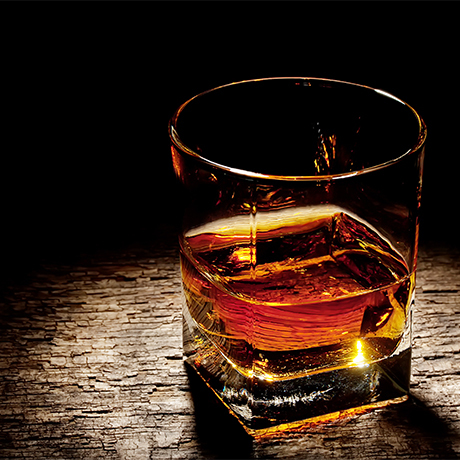 In 1751 Robert’s great, great grandson, John Haig, married Margaret Stein and this union really cemented the family’s connection with Scotch whisky. The Stein family owned distilleries at Kilbagie and Kennetpans near Alloa in the Lowlands. When John Haig died suddenly in 1773, his father-in-law took his five sons on as apprentices at Kilbagie. At this time Kilbagie was well on its way to becoming the largest distillery in Scotland and it was here that the Haigs learned the art of distillation and whisky making. All five brothers went on to found their own distilleries or become partners in others. Even some of their six sisters developed a relationship with whisky: one married John Jameson (a relative of her brother Andrew’s partner at Kincardine) and moved to Dublin, where her husband founded the eponymous distilling company. These were the beginnings of a great distilling dynasty for the Haigs and Steins, though it was John Haig, John’s grandson, who secured his family’s name in Scotch whisky legend in 1824 with the build of Cameronbridge distillery in Fife, and the founding of John Haig & Co. It was at Cameronbridge that, in 1829, he installed a continuous still that had been invented by his cousin Robert Stein. This new still allowed the distillery to produce large amounts of spirit very efficiently – still from malt only in the beginning – and with a consistency of quality that was not found in pot stills at the time. Following two failed attempts to agree informal production quotas with other grain whisky distillers in the Lowlands, 1877 saw John Haig & Co. join five other grain whisky distillers to form the Distillers Company Ltd (DCL). The aim of this company was to regulate the sale of grain whisky stocks to the wholesale whisky trade. As a result of this amalgamation of distilleries, the blending arm of the company had to move from the distillery site at Cameronbridge to the town of Markinch, some three miles down the road. Today, the former bottling plant is a business park, but the main building, with the name John Haig & Co. Ltd. clearly visible, still stands over the town. In 1882, the company’s lack of bonded warehousing at Markinch was overcome by a takeover of David Smith & Co. of Leith. Such was the growth of the business, both at home and overseas, that two of John Haig’s sons – Alicius and Hugh Vietch – founded the Haig & Haig export business in 1888 to oversee its sales in the United States. It was Haig & Haig’s work in the years leading up to Prohibition, and after, that cemented the popularity of the (Dimple) Pinch brand in the US. Although John Haig & Co’s is best known for its success in the grain and blended whisky market – by 1939 the Haig blend was the best-selling whisky in Britain – for some time it held the licenses for a handful of DCL’s malt distilleries, including Glenkinchie, Glenlossie and Mannochmore. Consolidation in the Scotch whisky trade after the shortages of the First World War led to DCL acquiring John Haig & Co in 1919 (it was previously run independently), with members of the Haig family, including First World War commander Field Marshal (later Earl) Douglas Haig, becoming board members. DCL eventually morphed into Diageo, the Scotch whisky giant we know today, although John Haig & Co. continues to operate as a non-functional subsidiary and the Haigs’ distilling heritage recognised most recently through the 2014 launch of Haig Club single grain whisky.